Most Important for Functions Band Kent. Authenticity is essential! Close your eyes and the band are so professional it feels as if it just could be the original artist performing! Set Time Functions Band Kent. Soul Desire have a live performance time of 2 hours (120 minutes) split into either two sets of one hour or 3 sets of forty minutes. This arrangement is versatile, please ask if you have other requirements. How Many For Functions Band Kent? 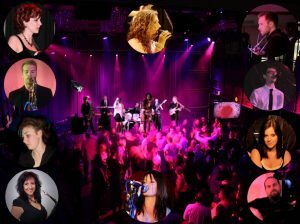 Depending upon the size and kind of venue, Soul Desire will perform with a group of 6-10 professional musicians/singers. Don’t hesitate to have a look at a few of the testimonials featured on the website as some idea of the band’s past successes. They constantly seek to exceed expectations, and always get great feedback at every occasion from hosts and guests alike. Having the band perform at your event will transform it from being simply ‘Ok’ to being ‘Mind-blowing!’ With everybody dancing and singing along it really will be a great night to be remembered by everybody for several years to come! Soul Desire are live musicians of the highest caliber and take their craft seriously. Your friends and family are sure to leave with a smile on their face and happy memories of the fantastic reception! A DJ for Functions Band Kent? – You will not have to spend out for a separate DJ. Soul Desire let you play recorded music of your choice through their professional PA system during the breaks, and also before and after the live performance. Simply let the band know beforehand what songs you would like played as a DJ set. Or you can merely plugin your own ipod or mp3 player. Please play a few of the audio samples on the site and view some of the videos – you can also contact the band about public events where you can see them perform live. Keep In Mind Soul Desire are not only suitable for wedding events, they are extremely experienced at all type of corporate events both inside and outside. From a small office celebration to the largest New Year or Christmas party, or any other corporate events they will supply you with the best in Live Music. Great Set list for Functions Band Kent. Very few live bands can supply the thorough set of live soul music and disco classics that Soul Desire provide. They specialize in Classic Motown and 70s hits that everyone enjoys in addition to more contemporary hits. Please take a look at the featured set list showcased on this website. Soul Desire is one the UK’s leading soul bands! Not many live bands can provide the thorough variety of live soul music and disco hits that Soul Desire provide. Soul Desire have performed at a huge variety of different places throughout the UK, from tiny to enormous! Special Requests and Functions Band Kent. For weddings or special occasions you have the alternative of choosing your very first dance or special tune not from our repertoire list and the band will get this prepared for you. Soul Desire are among the most remarkable soul tribute bands around! The band has been established for over 10 years and is made up of some of the finest professional musicians and singers in the UK. In hiring them for your occasion, you can ensure it will be a huge success! The Best For Functions Band Kent? We can securely say that Soul Desire is one of the UK’s leading soul tribute bands! Whatever about the band is spectacular. The look, the sound, the playing, the singing, the audience involvement– whatever you might ever desire in a band. They are sure to make your wedding event, party or other event really great! What You Can Expect Functions Band Kent. Soul Desire concentrate on all kinds of functions such as wedding events, parties, anniversaries and corporate occasions. Any event where you want your friends and family to have a good time and enjoy themselves! They play classic songs from the 60’s and 70’s that everybody already knows and sings along with, in addition to more current hits. Unique Functions Band Kent. Soul Desire understand that each event is different. They are very understanding with regards to your budgetary limits. Please talk to them! They will assist you to get the best possible package for you at the cheapest price. Conventional D.J’s may certainly be a little less expensive, however there is no way they can deliver the same sort of experience the band can provide with their live, party music. Nothing beats the energy and enjoyment of live music. Sound/Light Functions Band Kent. Soul Desire have a completely professional (high specification sound system) in addition to top quality stage lighting and effect lights for the dance-floor.